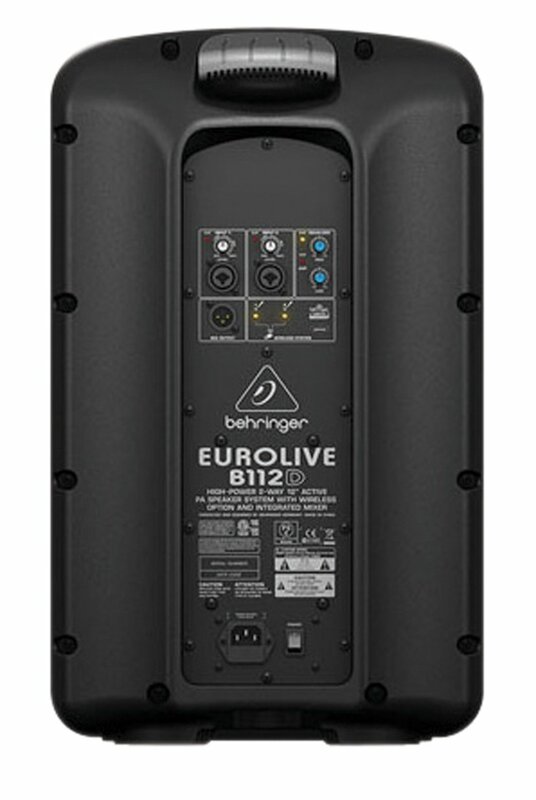 In this review of the Behringer Eurolive B112D we are going to covering 5 important areas which include key features, what we like, pros and cons, who is this product best suited to and what customers who have bought the speaker are saying about it. 1000-Watt 2-Way PA Soun –Custom transducers help to deliver phenomenal powerful sound. Engineers included a high-end Digital Signal Processor with features such as active crossover, dual protection limiters, transducer response correction, and dual-band EQ to ensure minimal distortion levels. 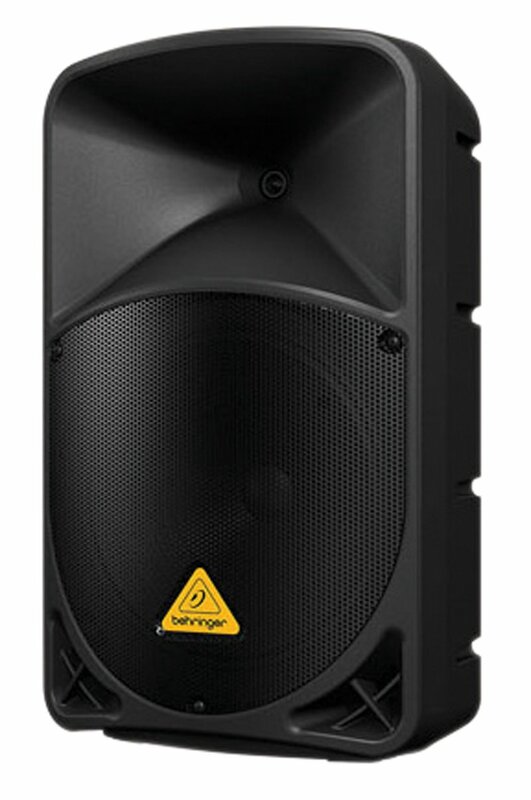 Wireless-ready – Behringer Eurolive B112D makes adding wireless microphones to the PA system easy and cable-free. Gone are the days of messy wires and hanging receivers. The ULTRALINK series wireless microphone, which can be purchased separately, can be plugged in to the 2-channel receiver to give you stable, wireless connectivity — perfect for any event. 2-Channel Mixer –Each Mic and Line inputs are individual, with additional line output to connect it with additional speaker systems, maximizing your sound output. Built-in mixing capability, volume control, and clip LEDs make this an ideal choice for DJs providing ultra-low noise and mic preamps. The 2-Band EQ and Integrated sound processor allows you to protect your speakers even in demanding circumstances. Large-format Exponential Horn –This gives you ultra-wide dispersion of sound. Versatile Trapezoidal Design –Allows you to adjust the positioning with a standing mount with a 35-mm pole socket and the ability to tilt on its side when you need a floor monitor, or it can be stacked easily. Phenolic-diaphragm Compression Driver –State of the art technology gives you high-frequency reproduction with exceptional quality. SMPS (Switch Mode Power Supply) Technology –This innovative technology is the answer to heavy transformers or heat sinks, keeping the loudspeakers running cool for hours on end. Lightweight and Powerful – Behringer have put together their expertise and experience to create the perfect portable, lightweight speakers that do not compromise power. With Class-D power amps specially engineered for ultimate variable input controls, and low-distortion clarity and sound projection, these speakers offer excellent value for price. The portability of the speakers means that they are easy to transport from venue to venue and though they are lightweight, they are sturdily built. High Quality Sound Output with Little Distortion – These speakers offers the latest technology in distortion reduction, crisp vocals and deep booming bass with minimal distortion allowing you to dial in at the perfect level every time and with a lot of power to boot. 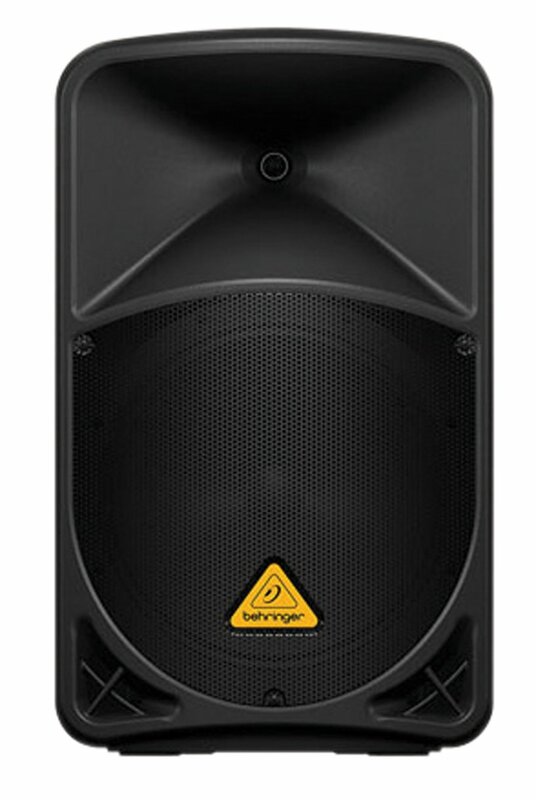 Wireless Capability – The fact that the speakers can work wirelessly makes setting up incredibly fast and easy and hassle-free, it connects with the Behringer Ultralink mic seamlessly. Gone are the days of a tangle of wires and connectors! This feature creates convenience and freedom that makes it the ideal portable speaker PA system. Ergonomic build –lightweight yet resilient, portability is the ultimate feature for these speakers. The pole mount is a trapezoidal design and its stackability are also additional winning features. These speakers are perfect for performers or DJs on the road who want ergonomic speakers without sacrificing sound quality. Great power –Though these speakers may be lightweight, they are incredibly powerful offering 1000-watt sound, which is perfect for small and medium-sized venues. Great sound quality –The system reproduces high range and mid range frequencies with crisp, clear quality. This is especially notable for vocals where even at high volume, vocals come across clear and undistorted. Input clippin –Pushing the dial past 8 or 9 may generate harsher high-end sounds. Low bass handling at higher volumes (75%+) –When volume reaches over 70% some feedback and hum can be noted which may be a disadvantage at larger events. This product is ideal for DJs, event PAs, and live musicians, but is a multipurpose speaker system. 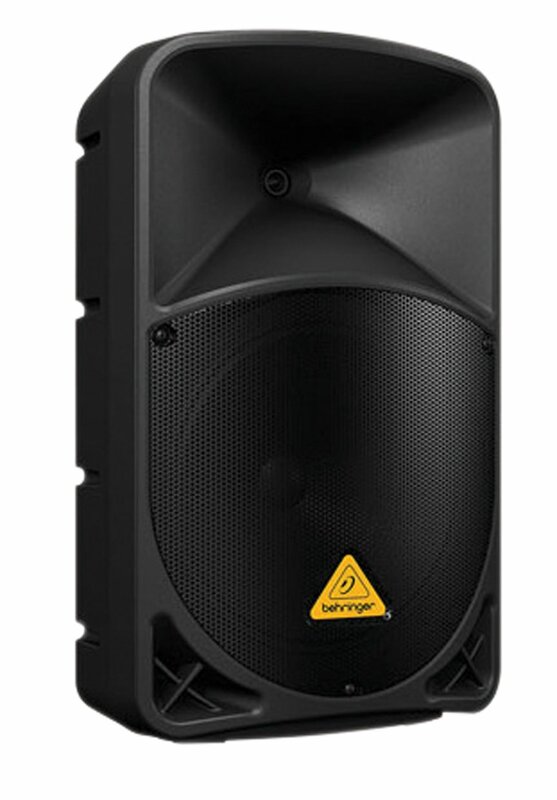 The Eurolive B112D Wireless Speakers have a lot of power and can fill the venue with sound. For live performers, the speakers are ideal for solos or duos where vocal clarity matters. The sound quality and distortion reduction mean that even at high-volume, vocals remain crisp and clear. For DJs, the built-in mixer means less equipment on the road. The power in the speakers means that it can deliver intensified bass and treble, and it allows DJs optimal control with easy to manage functions. These speakers are even ideal for office environments to provide high-quality sound with low distortion to business meetings, conference calls and presentations. The clarity in vocals is a definite plus for ensuring that your meetings and calls run smoothly. All in all, these speakers are an all-round winner, being adaptable and versatile for every occasion. Customers have been giving these speakers rave reviews. It has an average rating of four stars. The best feature for customers is the powerful sound. These speakers are deceptively light for the bundles of power they have. You are able to pack some bass and treble while retaining clarity and exceptional sound with minimal distortion. However, customers said that though the sound quality and projection are excellent, you have to be careful when driving the input, clipping the input can cause the output to come out a bit harsh. This can be easily remedied with the in-built EQ functions but sometimes when the dials are pushed too high the sound quality can diminish slightly. These speakers are an excellent choice for the budget conscious consumer with enough features such as distortion control and amplification to make it suitable for professional events such as concerts or DJ sessions. This is an ideal setup for people who are looking for an excellent quality speaker without compromising on quality. The lightweight and stackability makes this an ideal purchase for people who need to be on the move.